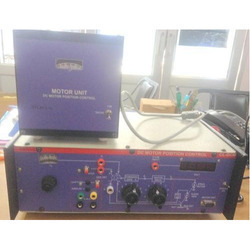 Respected as a reliable manufacturer and supplier, we offer Power Electronics Trainer Kit. Its easy operation, compact design and excellent energy efficiency, make this power electronics trainer kit highly demanded. With the aid of our large power electronic trainer kit manufacturing capacity, we have been able to meet the bulk demands of the offered kits in the most efficient way. DC Regulated Power Supplya) 0-10V/50mAb) 0-25V/50mAc) 12V/500mAd) 5V/500mA2) 4No. Digital Metersa) 19.99VDCb) 19.99V-199.9V DCc) 199.9μA - 19.99mA DCd) 1.999mA - 199.9mA DC3) Pulse Generator Circuitsa) Variable duty cycle pulse generator for chopper circuits.b) 1KHz ve & -ve edge pulse generator for series inverter.c) 50Hz ve & -ve edge pulse generator for series inverter.d) UJT trigger circuit for half wave & full wave converter.4) 3 No. SCR (2P4M), 1 No. MOSFET (IRF840), 1NO. IGBT (GP8NC60KD).1No. POWER TRANSISTORS (2N3055) & 8No. different resistance.5) Seprate circuits for half wave / full wave converters, choppers & inverters.OPTIONAL ACC. 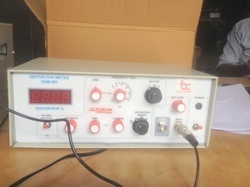 * DC-10MHz Single Trace Oscilloscope. Backed and supported by years of experience of this domain, we manufacture and supply the best quality of Electronic Experiment Trainer kit. 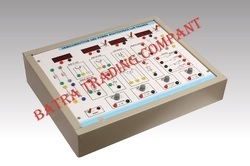 Designed as per the industry laid norms, the offered electronic experiment trainer kit is used for studying of P-N junction diode characteristics. 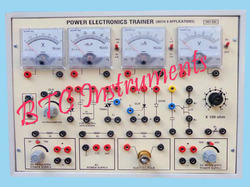 The offered electronic experiment trainer kit is rendered by us at cost effective prices. Leveraging by the in-depth knowledge of this domain, we are engaged in manufacturing and supplying the best quality of DC Motor Position Control kit. Its easy operation, high performance and compact design, makes this DC motor position control kit highly demanded. The offered DC motor position control is available with us in various specifications. By keeping track of latest developments, we are offering a wide range of Relay Control System. This product is manufactured using high grade components and progressive techniques. We manufacture a great array of highly efficient Distortion Factor Meter that is highly valued in the national and international market. 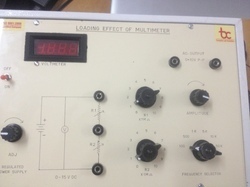 Generally Voltmeters have very high internal resistance values (a perfect voltmeter has infinite resistance). Hence loading effect is not so apparent at most of the cases. However the resistance of a voltmeter might change due to the voltage range selected and due to the type of the voltmeter (analog or digital). 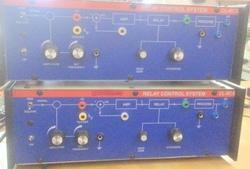 To meet the precise needs and requirements of our patrons, we offer the best quality of Power Electronics Trainer. The offered power electronic trainer kit is used for the purpose of studying characteristic of DIAC and SCR. In addition to this, the offered power electronics trainer kit is used to study the characteristic of different types of diodes. 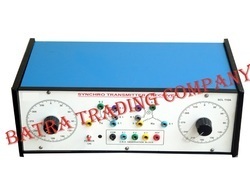 We are counted as a top notch manufacturer and supplier of the finest grade of Synchro Transmitter. The offered synchro transmitter/receiver kit is used in AC servo mechanisms for studying remote transmission of position. 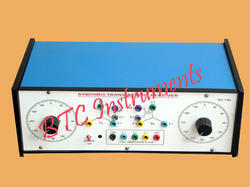 Rendered by us at cost effective prices, the offered synchro transmitter kit is highly demanded. 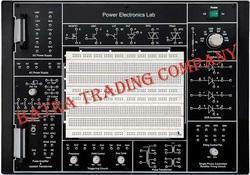 Looking for Power Electronic lab ?